News For The Well-Intentioned, Semi-Informed Layperson – a well-intentioned attempt to better inform the American citizenry. Greg Hardy is a 27-year-old football player who currently plays defensive end for the Dallas Cowboys. He went to college at Ole Miss, was drafted by the Carolina Panthers in the sixth round of the 2010 NFL Draft, and has since become one of the more dominant defensive ends in the game, earning a spot in the 2014 Pro Bowl and garnering a massive contract from the Dallas Cowboys in last year’s off-season # . On May 12, 2014, Nicole Holder, who had previously been seeing Hardy in what one friend described as a “very up and down” relationship, got a text from Sammy Curtis, Hardy’s personal assistant and manager, asking her and her coworker Laura Iwanicki to come hang out at Hardy’s apartment that night # . That led to an evening of bar-hopping, but Holder and Hardy both ended up back at Hardy’s place later that night, retreating to an office that acted as an extra bedroom. The two began arguing # and, according to Holder, when she tried to get up, Hardy pushed her. “Then I started fighting back, he threw me into the bathroom,” she told CMPD Detective Faye Strother. “I hit the back of the shower wall and fell into the bathtub where he pulled me out.” From there, Hardy dragged Holder by the hair and picked her up again, throwing her onto the futon of guns that Iwanicki had Snapchatted earlier # . Holder then alleges that Hardy stood above her and strangled her with both hands. Hardy was then arrested and Holder was taken home at about 7 A.M., though the next day she got a room at a Sheraton hotel after visiting a local hospital. At her hotel, she gave a full interview to police and let them take more photos of her injuries. Greg Hardy attacked me in his apartment. Hardy picked me up and threw me into the tile tub area in his bathroom. I have bruises from head to toe, including my head, neck, back, shoulders, arms, legs, elbow and feet. Hardy pulled me from the tub by my hair, screaming at me that he was going to kill me, break my arms and other threats that I completely believe. He drug me across the bathroom and out into the bedroom. Hardy choked me with both hands around my throat while I was lying on the floor. Hardy picked me up over his head and threw me onto a couch covered in assault rifles and/or shotguns. I landed on those weapons. Hardy bragged that all of those assault rifles were loaded. Landing on those weapons bruised my neck and back. Hardy screamed for his administrative assistant (Sammy Curtis) to come into the room and hold me down. Hardy and Curtis then took me into the living room area. I wasn’t nearly strong or fast enough to escape. I begged them to let me go and I wouldn’t tell anyone what he did. They took me out into the hall, pushed me down and went back inside his apartment. I crawled to the elevator and ran into CMPD. However, immediately after the conviction, Hardy’s attorneys announced that he would be exercising his right under North Carolina law to appeal the conviction and be tried by a jury in Superior Court. This set aside the conviction and the sentence, and a jury trial was eventually scheduled for November 17, 2014. The Panthers, who had previously been working on signing Hardy to a long-term deal, said that they would wait until after the trial to decide on any punishments, and Hardy even played in the Panthers’ season opener at Tampa Bay, recording four tackles and a sack. Just one day after Greg Hardy made his return to the football field, video of Baltimore Ravens running back Ray Rice punching his then-fiancee in an Atlantic City elevator surfaced on TMZ. Shortly thereafter, the NFL suspended Rice indefinitely, and the league’s lack of a substantial domestic abuse policy was put under the national spotlight. Less than a week later, Hardy was deactivated for the Panthers’ home opener and only a few days after that, he was placed on the NFL’s Commissioner’s exempt list # for the remainder of the season, meaning he was suspended with pay while his legal situation was considered (a cool $13.1 million, by the way). 10 games is simply too much, in my view, of an increase over prior cases without notice such as was done last year, when the ‘baseline’ for discipline in domestic violence or sexual assault cases was announced as a six-game suspension. According to District Attorney R. Andrew Murray, during the months in between the bench trial where Hardy was found guilty and the jury trial that was scheduled for his appeal, Nicole Holder “made herself completely unavailable to the Mecklenburg District Attorney’s Office,” even though his office and law enforcement across North Carolina conducted a thorough search for her. They even went so far as “conducting surveillance of a new residence where she was believed to be living.” Her relatives and her lawyer refused to help as well, though Holder could be found on Facebook during that time, with pictures showing her in Colorado, New York, Paris, and Charlotte. The State further has reliable information that Ms. Holder has reached a civil settlement with the Defendant. In other words, Hardy paid Holder off. With that, the case was dismissed and on November 5, 2015, the domestic violence charges against Hardy were officially expunged from his record. The short explanation for why Hardy, Ray Rice and Adrian Peterson all scored victories in their appeals is that the NFL tried to implement [their] new policy even though the offenses occurred when the previous policy — one of murky structure that usually limited suspensions to two games — was in effect. While the league can now legally apply the enhanced domestic violence policy it enacted in August 2014, the NFLPA successfully argued that because Hardy’s assault took place before the NFL instituted their stricter domestic violence policy, it was unjustified in punishing Hardy under the new set of harsher rules (which brings us back to what arbitrator Harold Henderson explained earlier about precedent). For all future domestic assault incidents, a six-game suspension is the minimum punishment # and a lifetime ban is now an option for repeat delinquency, but the NFL cannot punish Hardy twice for the same incident unless it’s presented with new information. Sadly, the photographs aren’t something new, they just confirm what the NFL already knew; the league even filed a lawsuit last March to obtain photos that weren’t in the case file that Charlotte-Mecklenburg police turned over to the NFL in February. And as Tom Brady’s recent court case proved, when Roger Goodell and the league have tried to over-suspend players beyond what the CBA calls for, it only ends in the NFL losing money and (even more) dignity. The courts and the NFL have done all they can to punish Greg Hardy, but the fact is that under the eyes of the law and the shield, he is allowed to play football. However, that doesn’t mean that any team has to sign him. If all 32 owners decided, as they did with Ray Rice, that Hardy’s athletic prowess wasn’t worth the ethical headaches and PR hit, they could let him wallow in the arena league racking up sacks for the San Jose SaberCats. Jones and the Cowboys may not have seen the photographs of Holder before they signed Hardy in the off-season, but they were still very much aware of the police report, the evidence put forth during the trial, and Hardy’s conviction, and while the publishing of the photos doesn’t constitute new information that would be grounds for the Cowboys to suspend him, they are more than allowed to buy Hardy out and ensure he never dons a Cowboy jersey again. He’s, of course, one of the real leaders on this team and he earns it and he earns it with respect from all of his teammates and that’s the kind of thing that inspires a football team. One of the things that makes this case a little unique from other recent NFL domestic assault cases, is that unlike Ray Rice or Adrian Peterson, Greg Hardy seems completely ambivalent to the whole thing, bordering on unremorseful. 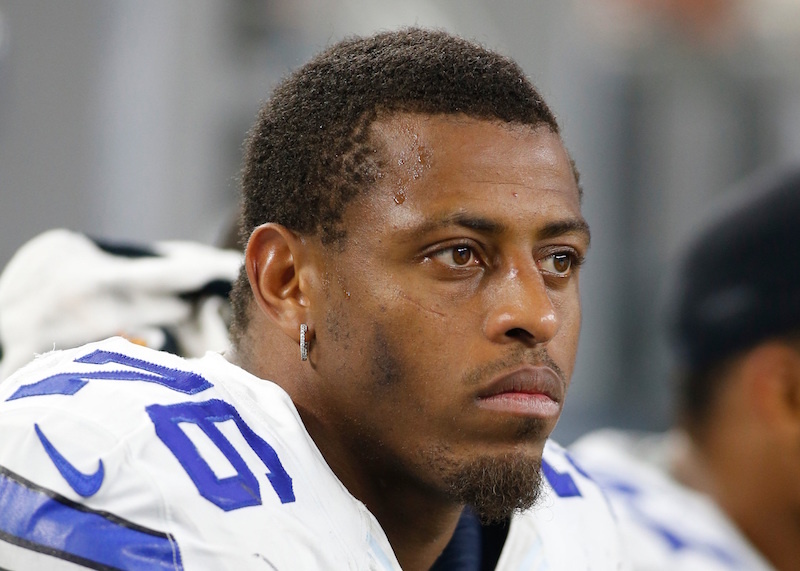 Greg Hardy: "I hope I come out guns blazing. I'm full of excitement and full of juice. I'm ready to go." Greg Hardy: "I love seeing Tom Brady. You seen his wife? I hope she comes to the game. I hope her sister comes to the game…"
Hardy was arrested and subsequently found guilty by a judge of assault on a female and communicating threats. However, Hardy immediately appealed the case and by the time the court date for his appeal rolled around, Nicole Holder was nowhere to be found. District Attorney R. Andrew Murray, in his dismissal form, said that Holder had “made herself completely unavailable to the Mecklenburg District Attorney’s Office,” but also noted that, “The State further has reliable information that Ms. Holder has reached a civil settlement with the Defendant.” In other words, Hardy paid her off. 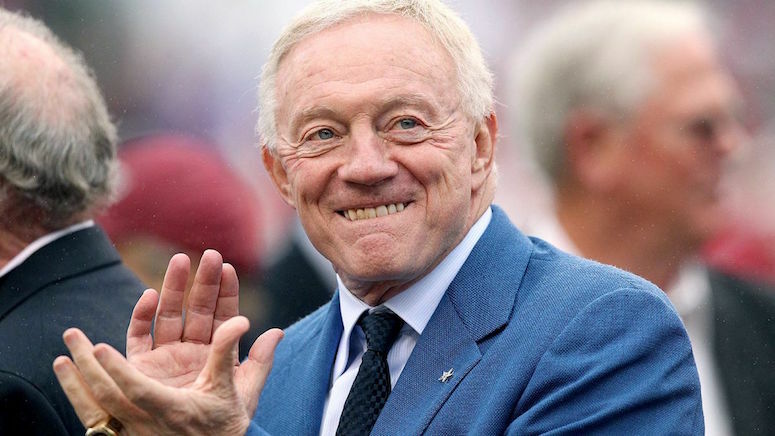 The NFL launched their own investigation, also finding Hardy guilty, and punished him to the maximum extent they felt they could, 10 games without pay. But because this incident took place before the league’s new, stricter domestic abuse policy went into effect, the NFLPA successfully argued that Hardy was unfairly punished and the suspension was reduced to 4 games. If you would like to contact the Dallas Cowboys and ask questions about Greg Hardy, the PR number from their media guide is 972-497-4959. Ray Rice, previously the most infamous domestic abuser in the league, has appeared to be genuinely remorseful for his actions and has been actively campaigning to raise awareness about domestic violence around the league. However, because he isn’t near the caliber player that Hardy is, he continues to go unsigned by an NFL team. 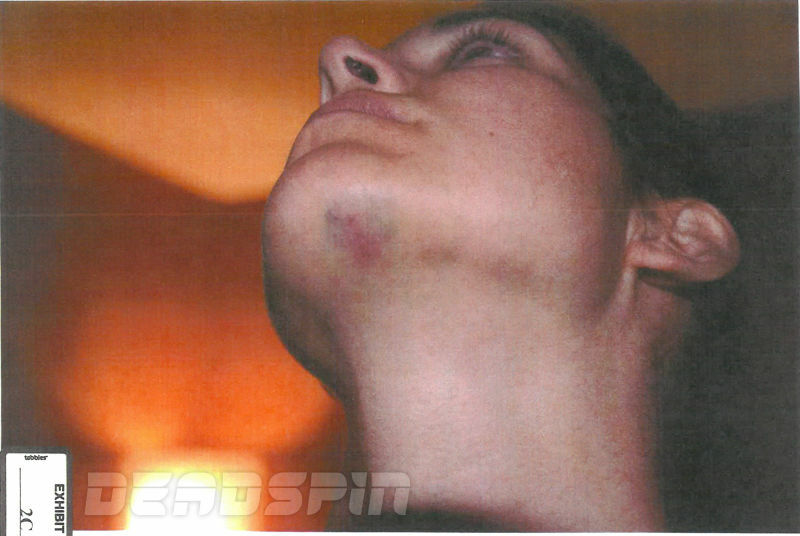 Jon Wertheim and Emily Kaplan wrote a piece for Sports Illustrated all the way back in September titled “If there were a Greg Hardy video, would Greg Hardy be playing Sunday?” that is a great reminder that even though these pictures are a nice sharable asset to have, we’ve known all the details about this incident for months and only now are we really giving a crap.